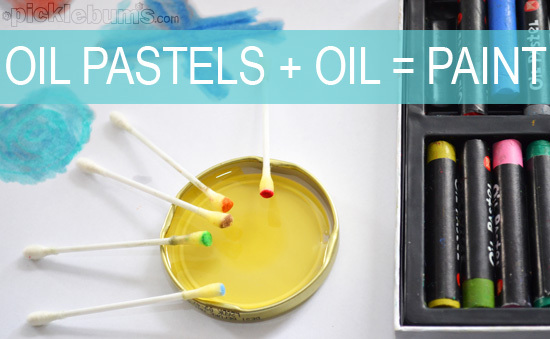 Oil Pastels + Oil = Paint! Oil – we used olive oil because we live next door to an olive grove. 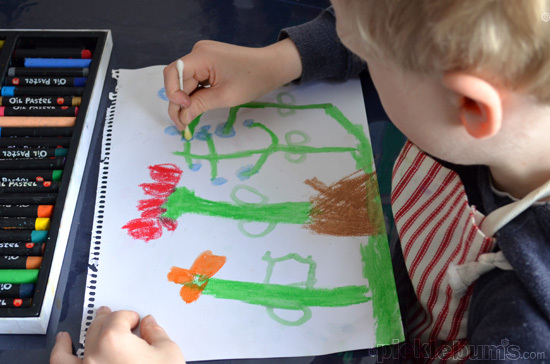 Draw a picture with lots of strong, bright colours! 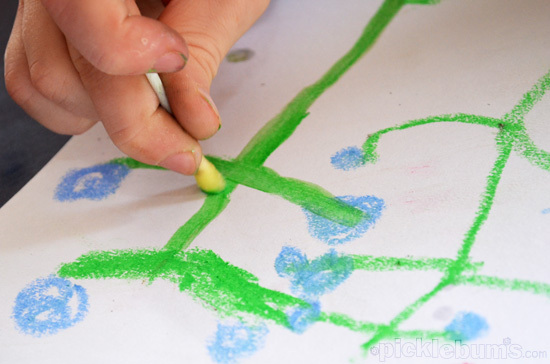 Dip your cotton bud in a little bit of oil, wipe off the drips then rub it over your drawing and watch the oil pastels magically turn to paint! You can blend colours together easily, or use a different cotton bud for each colour to keep them separate. It’s a bit like using water colour pencils but the colour is lovely and bright! 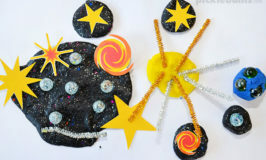 This activity is easy, not very messy and loads of fun! 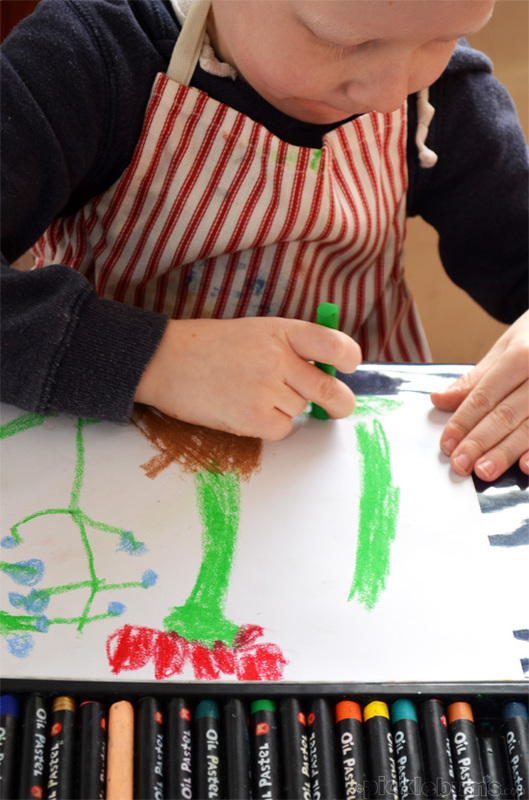 Find lots more easy art activities for kids here. We love art that transforms like this! We must try it out – pinning now! What a FAB idea!! I love your magic paint and can’t wait to try it out with the kids! How have I not thought of this before? I have all the stuff for this activity too! Yay, I can feel some creative juices flowing. 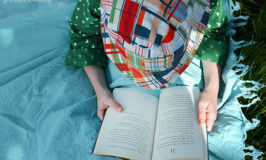 I may love this activity as much as the kidlets! What a great idea…love those colours and pinning now! This is fabulous! :) Great to get Miss Daisy to start tracing and using those fine motor skills a little more in her art! :) Thanks for sharing! Pinned it and will let you know how we go! I will be trying this out tomorrow, it sounds neat!! Home » Oil Pastels + Oil = Paint!